A Killer? Minus The Caffeine. Occasionally I do chuck a book title or two into this blog as ‘recommended reading’ for like-minded folk. 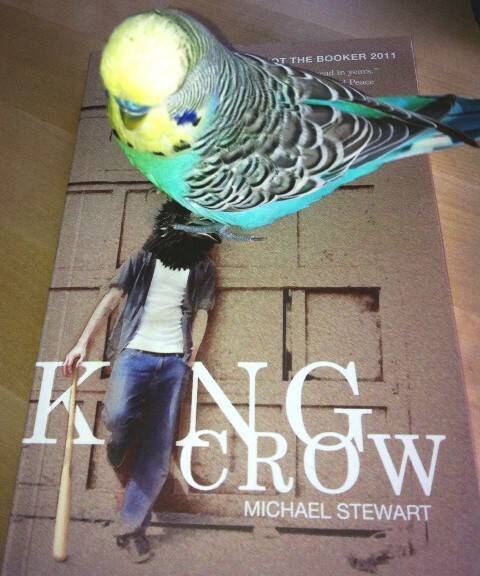 And last year I flagged up a book named ‘King Crow,’ by Michael Stewart. Mr Stewart happens to hail from the same side of the hills as I do (that dreadful Manchester place) and like me, he also did the defector thing – now happily living in west Yorkshire, hanging out in Kirklees and no doubt feeling as confused as I do, in terms of whether he’s more of a red, than a white rose. 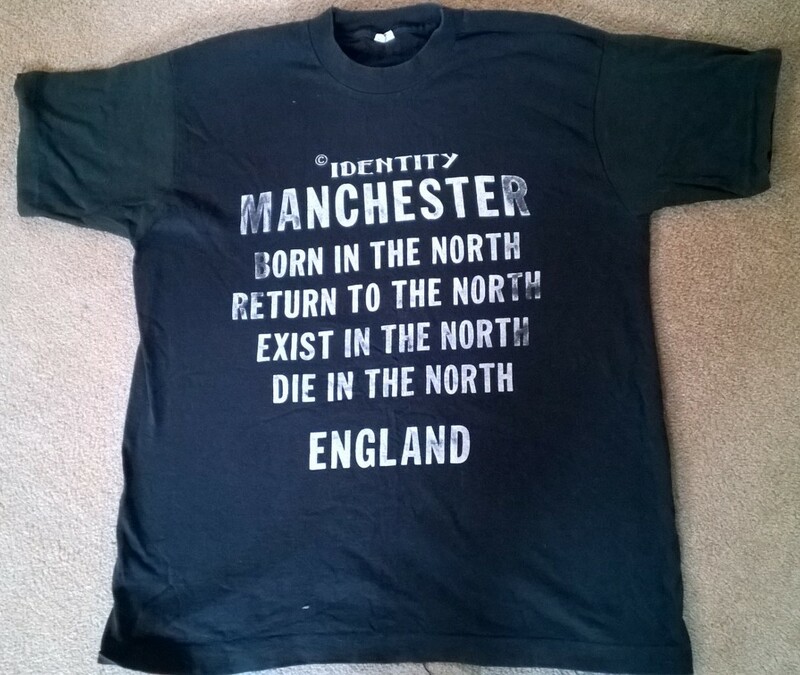 Purchased in 1989 from Afflecks Palace. 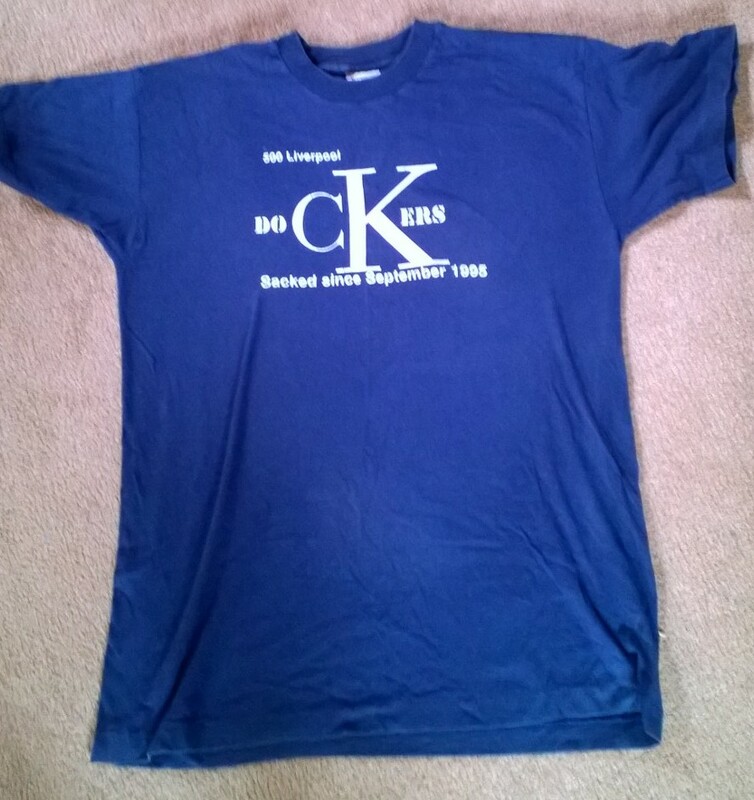 One of my many relics from days of yore.. 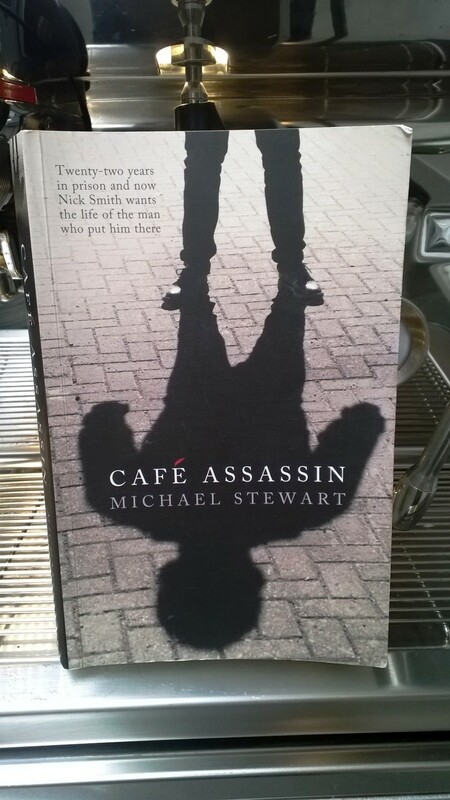 But ‘Cafe Assassin’ has more than managed to pull this off. For me, the acid test of a damned good read is this; that you find yourself flicking back and forth in the book – checking facts and circumstances; reminding yourself of the vaguely sketched but now important, details of the story. Smiling to yourself ‘ah yes….that fits. I like that.’ And the proof of the pudding lies in the fact that you find yourself thinking of the story a few weeks later – pondering the characters, their motivations. And finally – when you find yourself trying to lend your copy to your mother (even though there are snippets in there that she might not fully approve of – and I’m not talking about the way the author disses The Cramps) well. Then you know that you really *should* flag the book up to all and sundry. Baggy jeans, maybe. 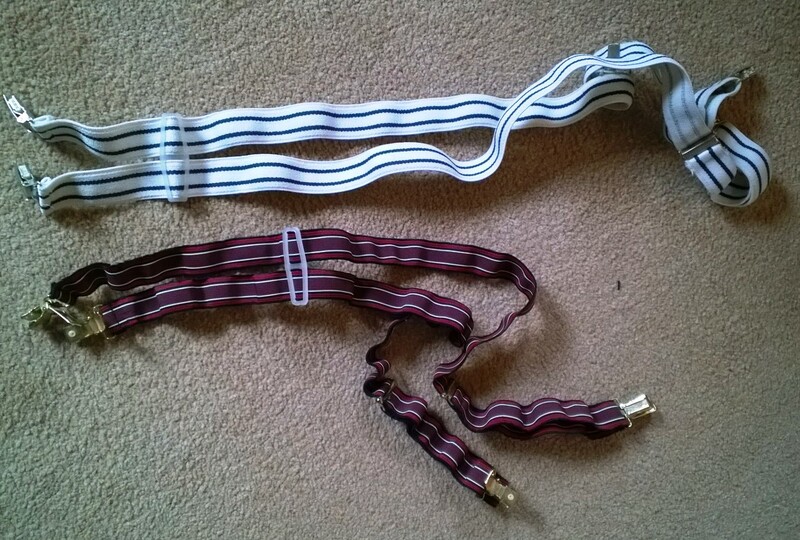 But was there EVER an real excuse for me wearing these things down the Hacienda? So from the dropping of E’s down at the Hac (not me, Mum!) to the violence of Cat A-Wing HMP Wakefield… right over to the triple-garaged homes of well-heeled Ilkley; our protagonist continues to lurk and plots the utmost in revenge. 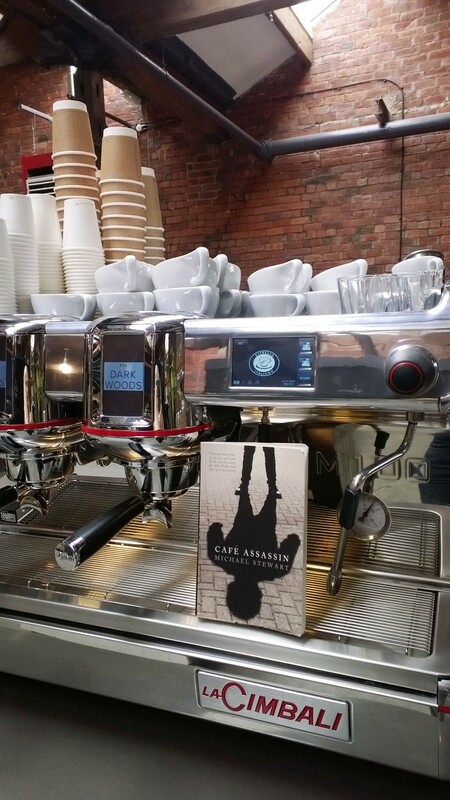 Yup – Cafe Assassin has all of the bases covered for me. But I’m not going to spoil any of the suspense for those of you who want to read it (and believe me – there’s bags of the stuff in there) but I will say that for me, at any rate – the ending was rather unexpected. But certainly not a let-down. So if you are after a rollocking good read for the summer; if you trust me on my previous choices and words of wisdom and if you want to support one of the best indie publishers in the UK (those Bluemoose people) then do snaffle this book up ASAP. The only missing ingredient in the book? The caffeine. In fact, my only criticism of the novel is that there was a distinct lack of caffeine involved. But then, none of us are perfect. Followers will know that I like to blog about all kinds of stuff, but that I can become the gobbiest when it comes to the issue of ‘outsiders’. Yes, I get all crabby about those who are on the fringes of society (because of lack of income or birth right or connections) but I also get my knickers in a twist in relation to the way that people who are deemed to be a bit ‘different’, ‘quirky,’ ‘eccentric’ or who seem to be singing from a completely different song-sheet from the rest of us ‘normals,’ are treated. He was a loving little companion. 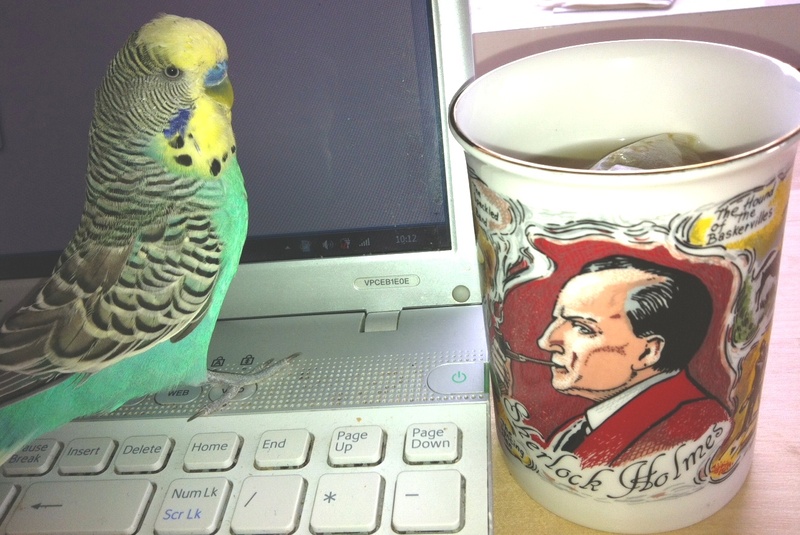 Until he shat on my copy holder. 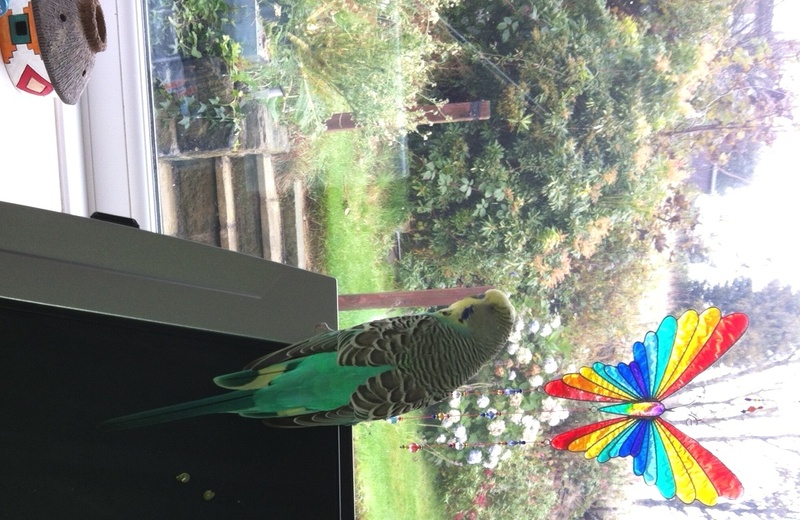 Yesterday, I was in the middle of reading an excellent guide for employers on how to create an autie-friendly workplace when my daughter (who was trying – and failing – to train Elvis to sing a Beatles song) interrupted me with “Hey Mum, why do we use ‘Bird Brain’ as an insult? ‘Cause Elvis – and all birds – are way cleverer than my brother…” and this reminded me of a fantastic book that I recently read. But hey. Back to the report that I mentioned earlier*. And an excellent quote from it. Courtesy of a fella named Stephen Shore. Who offers some very sage advice. Which I reckon, should be applied not only to autism but to many other hidden impairments. And to the overall issue of ‘intelligence’ itself. It’s finally up there for people to buy. My first fiction book. You can find it on Amazon here. I allowed myself a small, self-indulgent moment when the first dribblings of tweets and publicity trails arrived. I felt good about the fact that I’m honestly not out to make money from this book. It’s always been about the process of creation for me. About the fact that I finally listened to my inner voice …. that I simply had a story that I wanted to tell and to share with others. I smiled and I pondered as I looked out upon our beautiful valley here. It really has been a mammoth task – but so satisfying and so uplifting an experience. So, I got ready to go out, to meet my fellow writers and to bask in the warm glow of their support and artistic inspiration.